OnePlus has started rolling out Android 8.1 update for OnePlus 5 users. 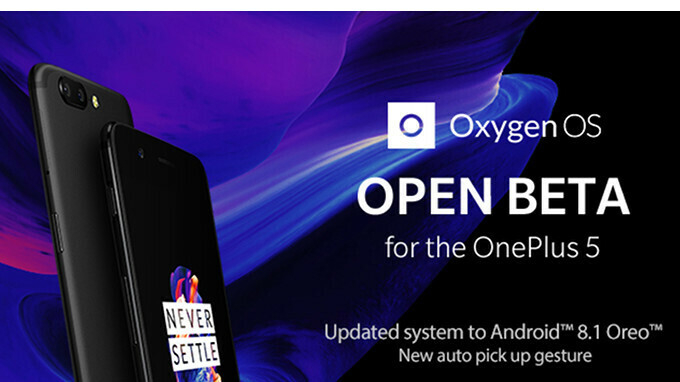 The update is however available for those who enrolled for the beta program as it is included in the latest OxygenOS Open Beta 6 update. The update comes with some better improvements and new features which includes a new auto pickup gesture, more clock styles for ambient display, new optimizations in gaming mode for immersive gaming experiences including power saving and pausing adaptive brightness, as well as option that allows you to answer an incoming call by raising the phone. The new Oxygen Beta 6 update also includes the February Security Patch as well as a newer and more refined version of OnePlus Switch App which is OnePlus' native app for moving app data when switching devices. If you already flashed the Oxygen OS beta build on your OnePlus 5 device then you should receive this new update as OTA.